Most archaeologists are aware of the types or fields of anthropology. Yet, students looking for archaeology or anthropology schools, haven’t a clue which field of anthropology they would like to conduct research in. It’s easy to specialize in a certain culture, civilization, or even prehistoric animals, but in order to do so you must educate yourself on these four fields of anthropology first. Archaeologists have the same goal in mind as cultural anthropologists. They learn everything there is to know about a particular society. The difference is, they can’t talk to the people or ask questions. Why? They’re all dead. Archaeologists study the things they left behind and infer behavior and information from that. Like Indiana Jones, archaeologists study artifacts. Artifacts are things like tools and pots and other implements made and used by people. Ecofacts are the remains of plants or animals that were used by or eaten by people. Archaeologists also study landscapes, and there is a particular field called Landscape Archaeology, which allows the study of the modified landscapes and the behavior put forth to alter it. Bioarchaeology--study of human skeletons to reconstruct physical traits, health status, diet. Cultural resource management (CRM)--The branch of applied archaeology aimed at preserving sites threatened by dams, highways, and other projects. Palynology--study of ancient plants through pollen samples. Linguistic anthropology is the study of human language, which is unique among life on earth. Yes, lots of critters communicate, but none has a full blown language with the degree of structure that human language demonstrates. Have a certain type of agenda about a topic. Living in another culture; "blending in"
Sociolinguistics--Study of relationships between social and linguistic variation; study of language in its social context. Physical Anthropology is concerned with understanding the relationship between human biology and human culture. Understanding how the human body evolved over time helps us understand how culture became possible. 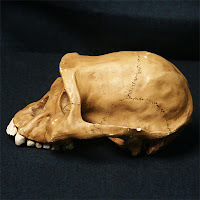 Forensic Anthropology-A specialty within physical anthropology which examines skeletons in hopes of identifying the people whose bodies they came from. Could be a single person or thousands. Biocultural Anthropology-Referring to the inclusion and combination (to solve a common problem) of both biological and cultural approaches—one of anthropology's hallmarks. Primatology-Study of Primates (apes, monkeys, lemurs) in zoos and natural settings. Reconstruct how humanity looked in the past. We share common ancestor of chimp. Anthropometry-Ancient ancestral changes in body parts). Measurement of human body parts and dimensions. Paleopathology-Study of disease and injury in skeletons from archaeological sites. Cultural anthropologists study modern human societies and primitive tribes in remote parts of the world. The goal is the same—learn as much as you can about a particular culture so that you can understand who they are and what they do, and why. You may student the ancient peoples of the Amazon or the Seminole Indians. This is really interesting. I never quite appreciated how closely related the fields of archaeology and anthropology are. I'm really interested at the moment in how languages developed across Europe and how closely related they are to culture and religious expression. I think people tend to believe that Archaeology lacks as much importance as Anthropology, but they build on each other so I don't see how that could be true. Linguistics is a fascinating field. If you have a chance you need to watch the documentary "The Linguists". I did a short write up after I watched it.